This is one of our newly started and ongoing projects. The property in Tunbridge Wells is undergoing a complete refurbishment at present. There are four main pitches slate roof’s that have already been fully stripped. There are four velum roof windows to be installed along with new lead valley and two chimneys that require refurbishment and rendering. All of the fire walls will be freshly rendered. The cast iron guttering will all be removed and replaced like for like with a new cast iron system. We estimate this roofing project in Tunbridge Wells to take around three weeks. An update on this job will be posted in the very near future. 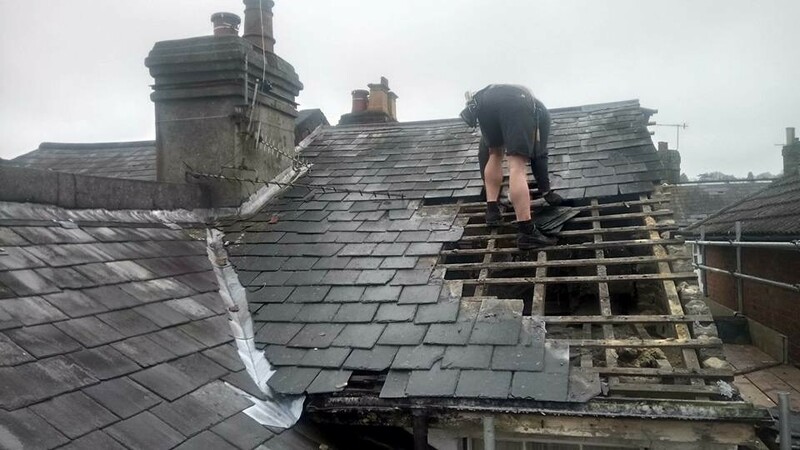 If you have a roofing project in the Tunbridge Wells or surrounding areas that you would like to either get underway or seek some professional advice on then please contact us. All of our roofing quotations are absolutely free .